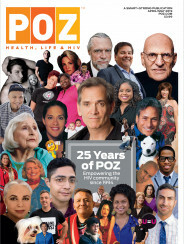 What inspired you to make a documentary about this often forgotten chapter in HIV/AIDS history? I grew up with Mathew Kleiner [an HIV-positive advocate who died in 2003 of hepatitis and complications due to HIV] in Brooklyn. I knew he had hemophilia, but other than [when we discussed] how rough we could get on the monkey bars, it didn’t really come up much. Coincidentally, my sister wound up in college with him at Cornell University [in New York state]. They became friends, so we all reconnected. In his junior year at Cornell, he decided to come out publicly [about the fact] that he had HIV and told his story of contracting HIV from Factor VIII, a blood-based medication that had been approved by the Food and Drug Administration (FDA). Is that when you first learned that many people with hemophilia had contracted HIV through blood products? I knew AIDS affected the “four Hs”: homosexuals, Haitians, hemophiliacs and heroin addicts. Like most people, I never stopped to consider how hemophiliacs got it. I knew it had something to do with blood, but I guess I thought they got it from a blood transfusion. What startled me is that many hemophiliacs got it from Factor VIII. In order to make Factor VIII, blood went through rounds and rounds of treatment and processing that ultimately turned it into white powder. In the process, HIV-tainted blood was used. There was opportunity at each stage of production to address the viral contamination. But no one did, because no one knew what had happened. Before HIV/AIDS, the hemophilia community went through a similar situation in which people were exposed accidentally to hepatitis B. Were the lax response to that incident and the resulting infections warning signs of things to come? Yes, neither the pharmaceutical companies nor the FDA nor the doctors nor the patient advocacy groups insisted the product be cleaned of viruses. It’s actually such an unbelievable notion in many ways. [And they certainly didn’t advertise what happened.] I’m not surprised people don’t understand how hemophiliacs contracted HIV. What do you hope people will take away from watching Bad Blood? Once the hemophilia community began to [contract HIV], experts at the Centers for Disease Control and Prevention [CDC] realized pretty quickly it meant the virus was in the blood supply. Had the CDC warnings been heeded, then steps could have—and should have—been taken to change the blood collection process in the United States. It is widely accepted that, had those changes been made, a good number of the 12,000 people who contracted HIV through blood transfusions [in addition to the 10,000 hemophiliacs] during that era might have been saved. My hope is that this film, by raising awareness of what happened, will help keep the blood supply safe. One of my favorite parts of the film shows how the hemophilia community became politically active regarding blood safety. It’s similar to how the gay community were leaders in advocating for condom use. 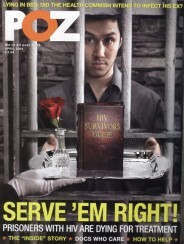 Blood safety gained national attention again in 2010 over discussions regarding the ban on blood donations by homosexuals. It was issued more than 20 years ago as an initial response to the AIDS crisis. But arguably it may be time to remove it. Do you believe the ban should be lifted? In 1980, the gay community donated 5 percent of the nation’s blood. It was a true act of altruism and civic responsibility, considering less than 5 percent of all eligible donors donate today. So I understand fully the frustration of the gay community in being prohibited from donating blood in the United States. On the flip side, I know the hemophilia community well and know they will bear 100 percent of the risk if another infectious agent makes its way into the U.S. blood supply. I am hugely gratified that Gay Men’s Health Crisis [GMHC] saw Bad Blood and reached out to the bleeding groups to work together on coming up with a thoughtful process to reconsider the gay donor blood ban. GMHC wants to use Bad Blood to educate its community on why patience is needed as scientists, public health officials and advocates like GMHC and the bleeding groups work together to make safe and fair blood donor policies in the United States. Both the hemophilia and gay communities have lost so many people to this epidemic, it’s understandable that passions run so deep on both sides regarding gay donors. In every way, what happened in the hemophilia community was an early warning sign about the safety of the U.S. blood supply. And though many people with hemophilia no longer use blood-based therapies [they use genetically engineered products], that community still considers itself the guardians of the nation’s blood supply, [hoping to ensure] a tragedy like the one chronicled in Bad Blood will never again happen on their watch. Personally, I feel we owe them a debt of gratitude for that. 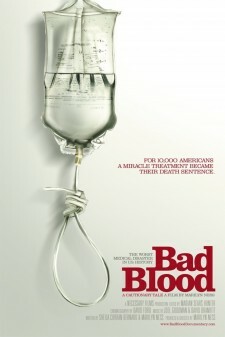 Go to badblooddocumentary.com for more information.